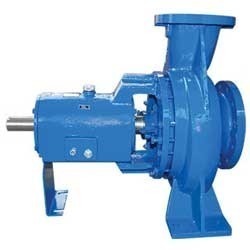 Our organization manufactures and supplies wide array of Rotary Pumps. Available in customized specifications and patterns, these devices are used to transfer fluid in a hydraulic process. Our range of Pumps are extensively used in hydraulic power packs, oil refineries, automobiles and rotary filters. 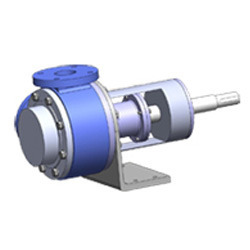 Rotary Lobe Pump are versatile stand-alone equipment. Used primarily in environmental technology and the chemical industry, these pumps handle almost any substance continuously and gently while metering in proportion to rotation speed.Rotary lobe pumps are ideal for pumping sludge, slurries and mud. 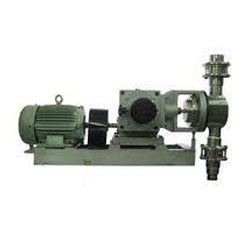 We are renowned exporters of a wide range of Plunger Type Metering Pumps. These can be used in extreme conditions and are safe to operate. These are compact in size and are made available in multiple variants, specifically designed for different chemicals. They are leakage-proof and are non-abrasive. Our products are highly demanded by our valuable customers. We are a leading name in the manufacturing and exporting of Horizontal Centrifugal Pumps. As a quality certified firm, we are successfully affianced in providing an extensive gamut of Magma Pumps all over the globe. The offered pumps are widely used for sugar products that contain sugar crystals. The offered pumps are manufactured at our highly advanced modern manufacturing unit using optimum quality components by our adroit professionals. Moreover, clients can avail the offered pumps from us at economic rates. Noted among the certified companies, we are affianced in providing premium quality Lobe Pumps. 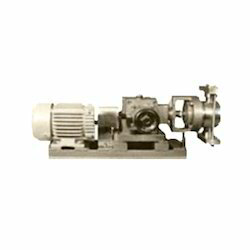 The Lobe Pumps are highly demanded in various industries including automobile, construction, pharmaceutical, etc. By utilizing superior quality components, the Lobe Pumps are precisely manufactured by our deft professionals with the aid of sophisticated techniques. Apart from this, our clients can purchase the Lobe Pumps at affordable prices from us. 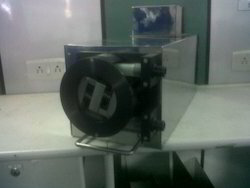 Peristaltic Pumps are the simplest possible pumps with no valves and seals .The fluid contacts only the tubing eliminating the risk of the pump contaminating the fluid or the fluid contaminating the pump .Peristaltic Pump can operate dry without risk .Backflow and siphoning do not occur . The flow rate depends mainly on the internal diameter of the tube and the speed at which the roller advance. Suction lift capability depends on the restitution power of the tube .The best way to select the tube is first determine which materials are chemically suitable and then choose the one that best matches of significant pressure , suction or vacuum demands. Microcontroller based control circuit . Precise PLUM based DC stepper motor drive. Menu driven LCD readout for flow rate / RPM. Switched for On/ Off , menu , digit , select . Increase , priming , direction reversal functions . Advanced EEPROM technology for memory storage . 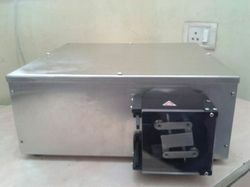 Operates on 230 v , 50 Hz , single phase AC . Operation on 230 v,50 Hz, Single Phase AC Supply. Brewing and Bio fertilizers . Cell Culture , filtration and separation. As an eminent name, we are offering high performing Sliding Vane Pumps in the national as well as international market. 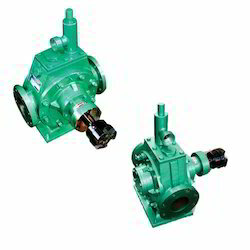 The offered pumps find application in various industrial and commercial applications. At our advanced manufacturing set-up, these pumps are precisely manufactured using the superior quality components with the aid of our adroit professionals. Furthermore, the offered pumps are available with us at reasonable prices. We are prominent manufacturer and exporters of Vertical Gear Pump which are designed accurately in accordance with our customer’s requirements.Vertical Gear Pump offered by us is known for its ease of installation and negligible needs for regular maintenance. Since our inception in this field, we have been affianced in providing the best quality Centrifugal Pumps. At our well equipped manufacturing set-up, the offered pumps are manufactured by utilizing the best quality components with the aid of innovative techniques. The offered pumps are used in agriculture, commercial and fluid passage appliances. Additionally, our patrons can purchase these pumps at the most competitive prices. We export quality Dosing Pumps with self cleaning valves. These comprise of heating as well as cooling jackets. In addition to that, these comprise of pressure gauges, pressure relief valves, pressure switches and an excellent control system. The heads of these dosing pumps have independent connections and the capacity of each head can also be independently adjusted. They help in separating hydraulic fluids and process liquids. With enthusiasm, we have been successfully affianced in providing the best quality Internal Gear Pumps. 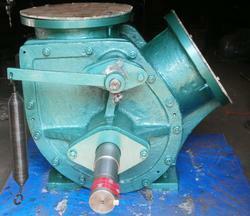 The provided pumps are ideally used for pumping slurries, fatty acids as well as petroleum products. These pumps are manufactured by our dexterous professionals using optimum quality components and contemporary techniques. Additionally, clients can easily avail the offered pumps in several technical specifications at cost-effective rates from us.